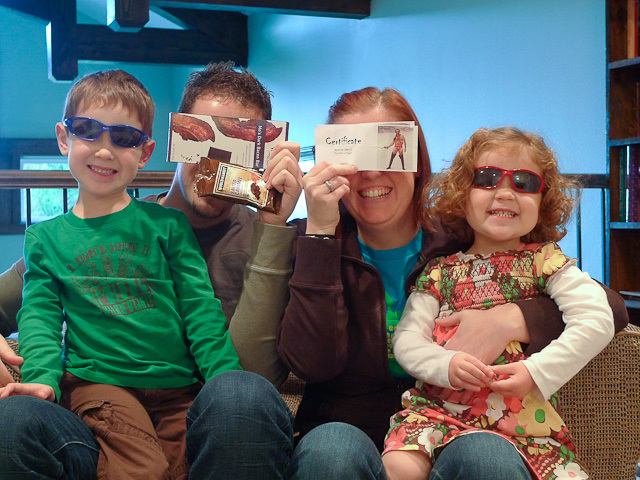 Cool new sunglasses, certificates to very bad movie night, fancy chocolate/bacon bar and salted caramel cocoa mix. It’s good to be us. It’s a chocolate bar flavored with bacon. I’m pretty excited to try it.